Legacy Rodent Control, a snake removal company in the Dallas-Fort Worth area, knows that a snake in your home is downright terrifying. This is because snakes have earned themselves a reputation for being dangerous. Although that does not apply in all cases, when you’re faced with a snake, you want it gone—and you want it gone quickly. That’s where Legacy Rodent Control comes in. We provide snake removal in Dallas-Fort Worth to keep you and your family safe and prevent snakes from coming back. There are many different species of snakes, and the majority of them are non-venomous. Most homeowners are not trained in identifying if a snake is poisonous, which is a job best handled by professionals like Legacy Rodent Control. Snakes are cold-blooded animals, and as a result look for warm places to curl up during the cold winter months. These places include areas and walls near appliances, water heaters, and exhaust vents. You can prevent a snake from gaining access to your home by sealing cracks and holes, and by thoroughly checking the exterior perimeter for points of entry. Snakes are able to squeeze into the smallest of spaces to get into your home, so when in doubt, seal them out. Don’t let our name fool you—Legacy Rodent Control also offers snake removal in the Dallas-Fort Worth area. Although snakes often eat other pests, like rodents, insects, and small reptiles, many snakes are not a threat to your family, no one wants to live with a snake. We can get the snake out of your home humanely, and seal off all access points to prevent it from coming back. Contact Legacy Rodent Control for snake control services! • The signs of snakes are not as easy to see as other pests who have infiltrated your home. 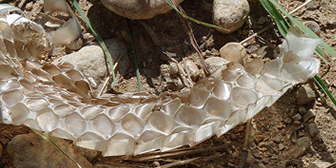 Some signs include seeing an abandoned snake skin in or near your property, seeing eggs or a nest, and seeing winding trails through dusty or sandy surfaces. • Snakes often live in walls, and because they are cold blooded are attracted to the warm areas of your home. • Snakes enter your home through very small spaces. • Snakes range from several inches in length to several meters. 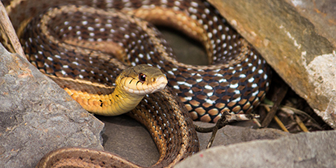 Snakes often hide in landscaping, wood piles, high grass, and piles of trash or landscaping debris. You can keep snakes away from your home by keeping your Dallas-Fort Worth property free and clear of these items and maintaining your lawn.